Hello everyone, Neela here again with you and thanks for stopping by today to check out this week's Sunday Sketch Challenge! 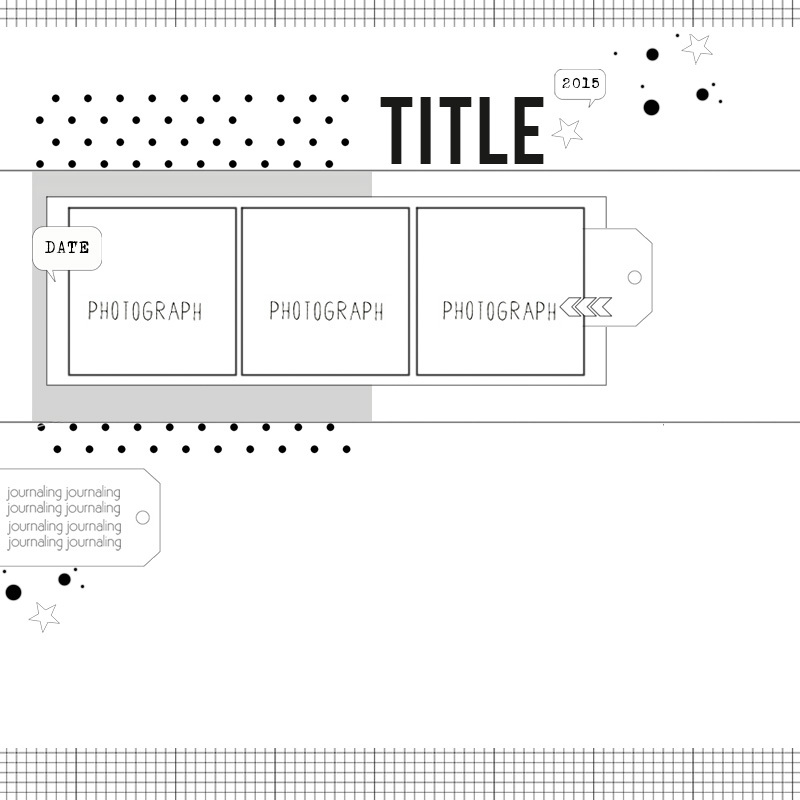 This week the sketch features space for three photos with lots of opportunities for embellishing. This layout is about my son having an amazing time during our vacation last year in Big Island, Hawaii. I liked the relaxed look on his face in this photo and that's how we all really felt. I mostly followed the sketch as is. My layout is 9x12 inches in size. Instead of 3 photos, I just used one photo which is 3x6 inches. I love the Bloom line by Maggie Holmes-it has a bunch of blue shades in it that I didn't expect. 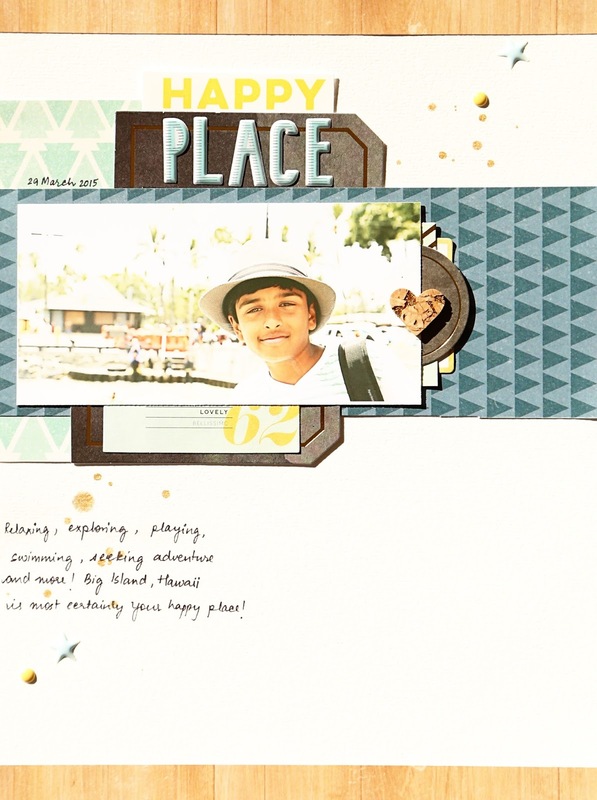 The "Happy" word is from the cut-a-part sheet that came with the February Main "Stories" Scrapbook Kit. I also really liked the C'est La Vie ephemera pack from Pink Paislee. I can't believe how much of it I have used on my layouts. I also added some gold mist splattering on both ends and used the enamel dots and stars that came with the kit to complete my layout. Instead of journaling on a tag, I just wrote directly on the cardstock and that finished my layout. Now it's your turn! To play along with this week's Sunday Sketch Challenge, create a project based off of today's sketch, upload it to the gallery with the date of the challenge (2/14) in the title, and you will will be eligible to win a $5 gift certificate to the CTK Store!